The story of Dreamgoats is a compelling one, and we've created a limited run of tattoos to celebrate the adventure of turning overgrown land into fresh, organic milk. We hope that this pack of goat tattoos will instill in you a goat-like persistence and tenacity, and that you'll cultivate a hunger for creating a new, better food system inside the old. 10% of every goat tattoo purchase will help fund the next generation of Dreamgoats: every little bit helps to make goat dreams come true, including baby goats and fresh, organic milk! One dreamy farm project. Launched in August 2016 by a young female farmer in West Michigan, the Dreamgoats have tackled weedy prairies, patches of poison ivy, and cleared out forests overgrown with invasive species. Three super goats. 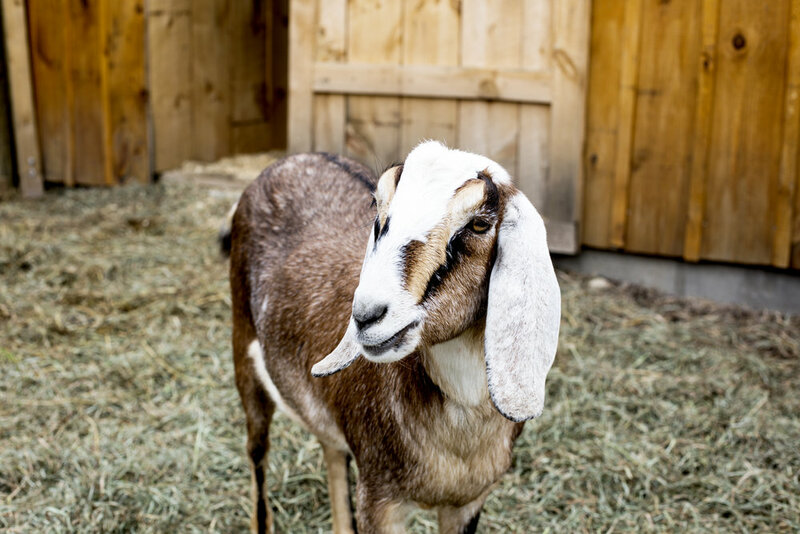 In their short lives the goats have improved land and befriended humans across West Michigan. They currently reside at Ada Christian Elementary School, where they bring excitement to the school's new outdoor education program. The next generation. In five short months, the new journey of motherhood & milking will begin. This expansion will pose new challenges to this nomadic herd--and increased costs. Lend the goats a hand by sharing their story and sporting their tats. The video below was created by MLive Media Group & featured the Dreamgoats at a residential property last summer as the herd began their first official clearing project.